There are lots of things many of us want to do in our lives that we just can’t. For example: I have always wanted to plow through giant hay bales in a Lamborghini Huracan on a European countryside. Sadly, such a thing is out of my reach. …Or is it? 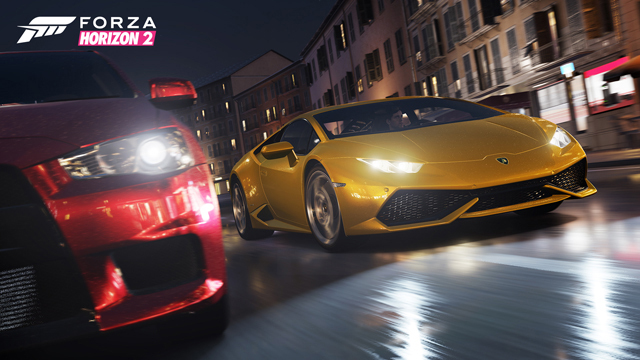 Forza Horizon 2 is the latest game in the Forza franchise and just as its predecessor did, it encourages ultimate automotive mayhem and mischief! There are all kinds of events and races that players can participate within the world of Horizon 2 that it is easy to get sucked into the game for hours. If you want a bit more info as to what’s in store then check out the review we did when Horizon 2 was released. The cliff notes is that its a great game that any car lover would enjoy. It is also available for Xbox 360 and Xbox One (although the version we reviewed was Xbox One). If you want even more info on the game check out the source link below.